Come spend an evening bonding with your mother or daughter and make this adorable table topper, at our first ever mother daughter night! Saturday May 9th from 6-9 pm. $30.00 includes one kit. We will have refreshments and lots of fun! Don't forget to watch Good Things Utah! Well, had I planned better I would have given myself just a little bit more time since we just walked in the door from Florida! 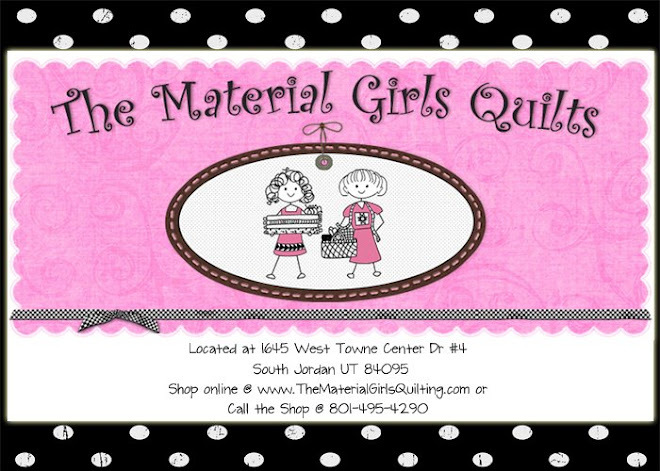 But tomorrow on Good Things Utah I will be doing the craft segment for the show. I will be showing our ever popular ironing board cover, this is a great Mothers Day Gift or just a fun gift to give that friend that has everything. So be sure and tune in at 10:00 am. Or come to the studio I believe they still have tickets available! Thanks everyone and I'll post later on our trip! 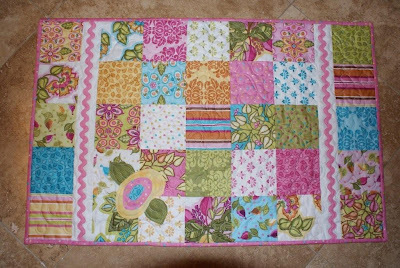 I am off to make an ironing board cover! For those of you who don't know I am in Disney World at a cheer competition~ Worlds Cheer this is the best of the best from all over the world. Did you know they even have cheerleaders in Japan, the Netherlands and my favorite Jamaica (these guys were amazing, they combined reggae with cheer?!) Shelby's team competeted yesterday against 67 teams, they placed 19th and go on to finals today! The girls are so excited! The next competion starts at 5:30 (Florida time) I will post and tell you all about it later! I have pictures but I couldn't get them to post! And of course I have lots to tell you~ like have you ever sunburned your feet? well, I am here to tell you it hurts like the dickens. Yea I know you are all laughing thinking sunscreen dummy! well, I missed those! I'll talk to you later! Keep your fingers crossed! Ladies! We didn't think we would ever see it again! But it's here! 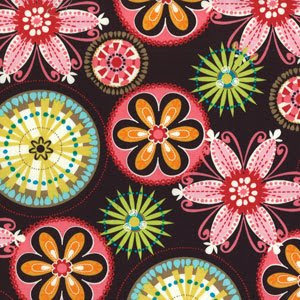 The Michael Miller Fabric, Carnival Bloom. We got it in cotton and corduroy! Hurry in, it will be gone in a day or two! And the winner is .......Shanna Jones!! Congratulations Shanna! 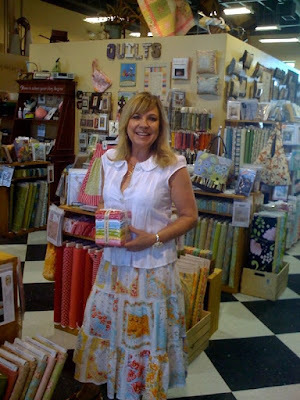 She was our winner of a fat quarter pack of Bubblegum Basics by Henry Glass. We had an in store drawing and next week I will do one on line. So, way to go miss jones!! Whatever are you going to make? Yo-Yo's, handbag, shirt, just have fun!!! 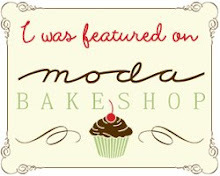 Thanks for being one of our customers!!! 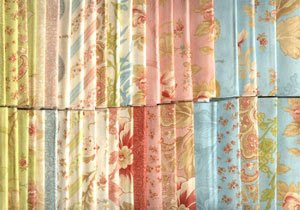 Sue Spargo is coming to Material Girls!! Come join us for a 2 day retreat with Sue Spargo. May 21 & 22 (Thursday and Friday)You will be working on a block which is from Sue's new book "Magnolia" If you want to check out more of Sue's work go to her website www.suespargo.com Hurry because class size is limited. Did you check the Giveaway today blog? Remember I told you about this blog? Well, today and that means till midnight. They are giving away a jelly cake from us! Just go to there blog~ www.giveawaytoday.blogspot.com and register to win!! This could be your lucky day girls! I hope you are checking this site often because they give away the coolest things! We all love a good giveaway don't we? anyhoo good luck! Aviairy and Snippets finally make thier apperance! Both of these lines have been much anticipated and...I can finally say they are here,both of them full complete lines that were so worth waiting for! 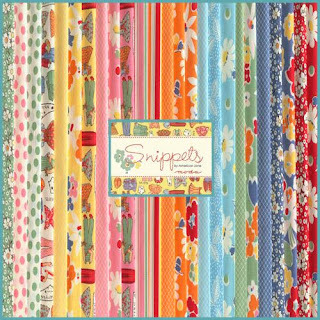 Snippets has that 30's retro feel, and Aviairy has a soft shabby chic colorway. One of them is sure to fit your style. Wow! I was so productive! I was so productive today! 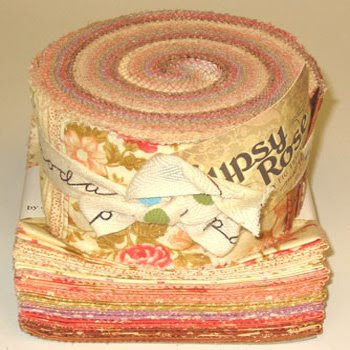 I am going to be impossible to live with in the shop this next week, I'll be patting myself on the back! 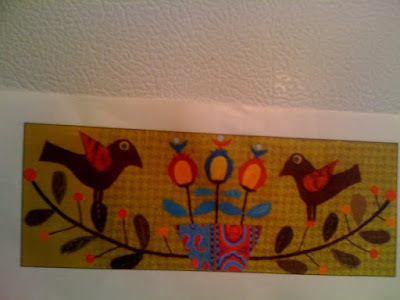 I finished this, (I know its a little late since Easter is next week, but we just got the pattern last week) I also finished something that I will show you later, plus I sewed some of my yo-yo's together which I will also post a picture of later. So, in case you weren't counting that is 2 1/2 projects. Wow! It's Fab Shop Hop time again!! 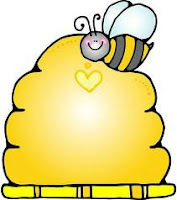 If you haven't participated in the on-line shop you are missing out! Lots of great prizes and lots of online shops for you to check out. 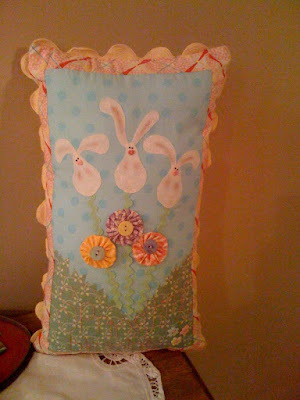 So hop on over to www.fabshophop.com/hopmain.asp its a lot of fun! Today is Jeanine's big day! 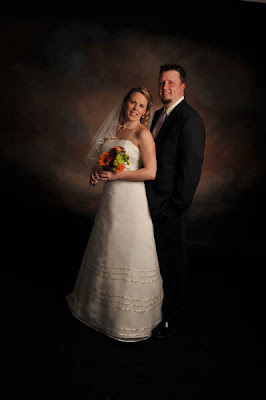 She gets married to a great guy named Nick! Congratulations you two! Now the fun begins!! (Nick just remember Jeaninie gives raunchy facials~if you receive one back away slowly!) We love you guys! This should have been posted yesterday, because Parker my son turned 16. WOW! No he didn't get his license yet...but, he daydreams about cars all the time. He constantly changes all of our screen savers to one of his favorite cars of the moment. 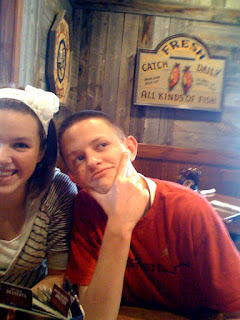 He is a great kid with a killer sense of humor! We love him and can't imagine him driving, but it happens(Camille, if you are reading this start stocking up on valuim) Anyway, we had a great evening last night and Parker we love you!!!!! Bye Megan! Material Girls wishes you the BEST! I am so so said to say, (with a huge tear in my eye) that Megan was voted off American Idol tonight. I so wanted her to win..., (you would actually think I was related) Megan, we wish you all the best and a bright and sucessful future! May all your dreams come true!